What is an Emergency Response? CMARA was developed based on recommendations from the first Canadian Marine Animal Emergency Response Workshop held in 2013. At this workshop, it was agreed that there was a need to unite and support the networks, to share expertise and resources, to promote the networks and to address critical gaps in the on-going operation of the networks. CMARA is chaired and coordinated by the Canadian Wildlife Federation (CWF) and is governed by the national steering committee (NSC) which guides the actions and administration of the Alliance. The NSC is responsible for representing the interests of the CMARA as well as each of their respective regional response networks. The NSC consists of one or two representatives of each of the regional response networks (Newfoundland and Labrador, Maritime provinces, Quebec, and British Columbia), the chair and one non-voting representative of Fisheries and Oceans Canada (DFO). The NSC operates on a consensus-based decision making process. Each of these regional networks are made up of non-governmental organizations, volunteers and governmental agencies. These partnerships have been crucial to the success of these networks. 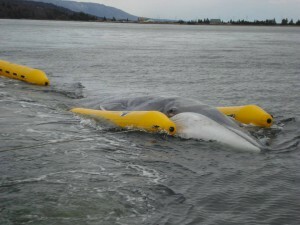 Among the first large cetacean rescue networks in the world, NL has been responding to marine animal emergencies since the late 1970s, specializing in strandings, disentanglements and pack ice entrapments throughout the province. The network responds to over 250 calls annually and has established a unique relationship with fishermen and rural fishing communities. The Disentanglement Assistance Program, a great success of the network, trains fishermen to respond to marine animals entangled in their gear, benefiting the marine animal (becoming gear-free) and the fishermen (saving their expensive gear and loss of fishing time). 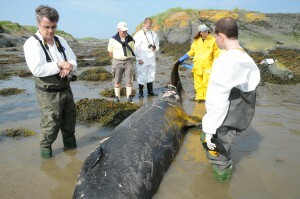 With the support of over 18 local partner organizations, the Réseau québécois d’urgences pour les mammifières marins (RQUMM) was founded in 2004 as the response network to service the Quebec region. The network is coordinated by the Groupe de recherche et d’éducation sur les mammifères marins (GREMM), which was founded in 1985 to conserve cetaceans in the St Lawrence river and estuary. Today, RQUMM continues to focus their efforts on marine species-at-risk, human-related incidents, and the retrieval of dead animals (especially belugas). Their goal is to reduce the number of accidental deaths and to facilitate the acquisition of data regarding dead marine animals in the St Lawrence waters. The network responds to over 450 calls annually and emphasizes public outreach and triage through a highly trained coordination center and volunteer responders. The Maritime Marine Animal Response Network (MMARN) was founded in 2007 with the support of over a dozen regional organizations to support response efforts throughout the Maritime provinces. Coordinated by the Marine Animal Response Society (MARS), founded in 1990, the network responds and documents all marine animal emergencies and emphasizes the need to understand harmful human impacts to marine wildlife. MMARN responds to over 300 calls annually. Research is undertaken at every opportunity to collect valuable information during a response, such as biological samples and conducting dissections of dead animals (necropsies). 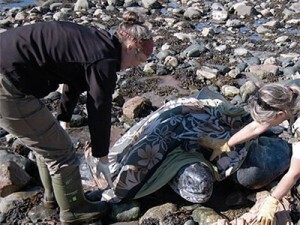 The British Columbia Marine Mammal Response Network (BCMMRN) was formed in 2008 to respond to incidents involving marine species-at-risk along the B.C. coast. Led by Fisheries and Oceans Canada, the network is comprised of at least eight regional non-governmental organizations that respond to over 350 calls annually. The BCMMRN is a world-class leader for seal and sea lion disentanglement and has developed both anesthetics and procedures for on-site gear removal. 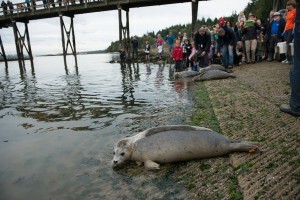 Moreover, the region includes Canada’s only marine mammal rehabilitation facility that works to recuperate over 100 animals annually before re-releasing them to the wild. No regional network has been established for the central and Arctic regions, though the opportunity to participate in CMARA will exist in the event of its initiation. DFO coordinates marine animal response for these regions, although many operations are guided by First Nations and Inuit communities. What has been accomplished to date? Canadian regional response networks have been responding to thousands of marine animal emergencies for over 30 years, and continue to receive reports of hundreds of incidents annually. Specially-trained volunteers and local responders are crucial to the ongoing operations of each regional network, offering their time and expertise as needed — and often without compensation. In turn, the response networks continue to work in the interest of furthering marine animal conservation and science by ensuring a timely response to every marine animal emergency and by collecting biological samples at every opportunity. Each regional response network has been doing what is necessary to maintain their operations and to be able to respond to any given emergency. 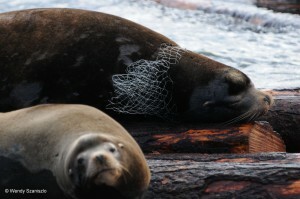 However, there is much more we can do to support our Canadian networks and marine wildlife. This project was undertaken with the financial support of the Government of Canada. © 2019 The Canadian Marine Animal Response Alliance. All rights reserved.